Has F1 'jumped too early' with 2019 changes? When the 2019 aerodynamic changes for next year's Formula 1 technical regulations were fast-tracked through the FIA system just before the April 30 deadline, it was a rare example of time constraints focusing everyone's attention. 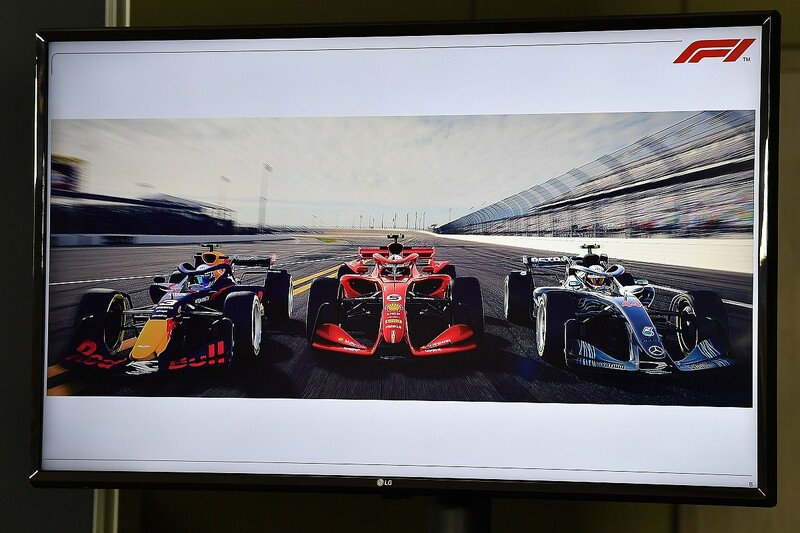 A laudable desire to boost overtaking by enabling cars to follow each other more closely meant the governing body, F1 and the teams worked together - first to test the theory, and then to get it voted into the regulations. Not all the teams were convinced, but unanimity was not required. Seven months later, the fine detail is finally being agreed by the teams and the FIA, an indication of just how complicated such changes invariably are. But there are doubts about how significant an impact there really will be on overtaking in 2019, despite all that effort and expense. That's a source of some frustration for the engineers who have been charged with adapting to the new regulations, and especially for those teams who had arguably done a better job than others with the current rules package. "There were some elements of a research project that Ross [Brawn] has been working on that have been cherry-picked by the FIA for application next year," says Red Bull's Christian Horner, who did not back the changes. "Unfortunately Mercedes and Ferrari supported it through the Strategy Group, and it got voted through. "Probably with hindsight, I think all the teams would recognise it wasn't the right thing to rush through. But let's reserve judgement until we see the first four or five races next year." 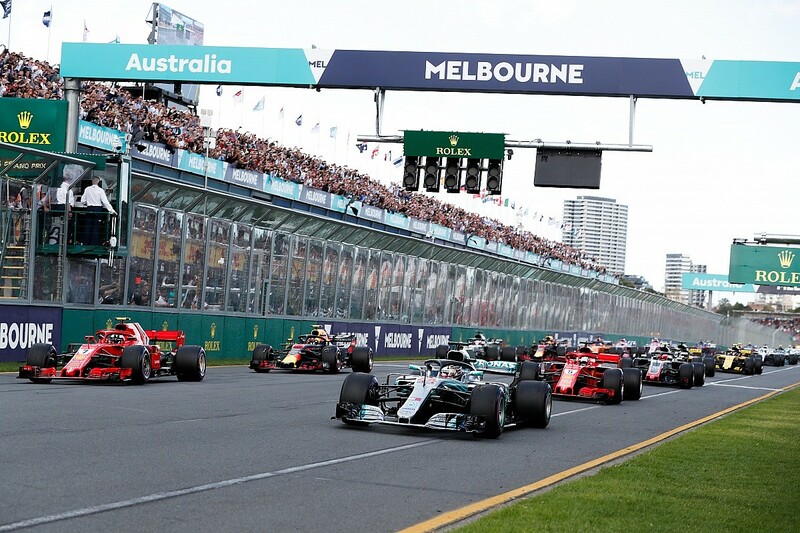 To recap, the calls to make changes for 2019 kicked off in the aftermath of what many saw as a dull Australian Grand Prix, and Jean Todt and Chase Carey agreed that something should be done to boost overtaking for next year. The FIA boss duly turned to Nikolas Tombazis, who had recently joined the organisation with a brief of contributing to the further rules changes that are coming for 2021. 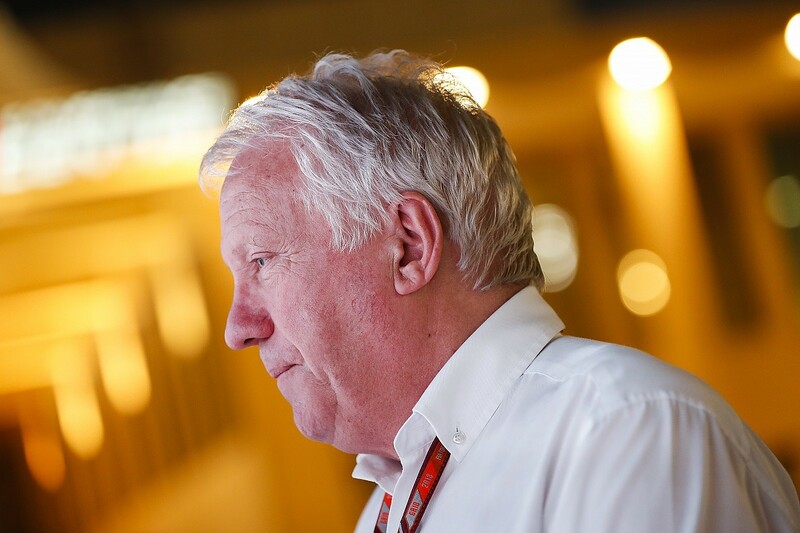 Tombazis was aware of the work that Pat Symonds and his group of engineers had been doing on Brawn's behalf for '21, having been involved as a consultant. 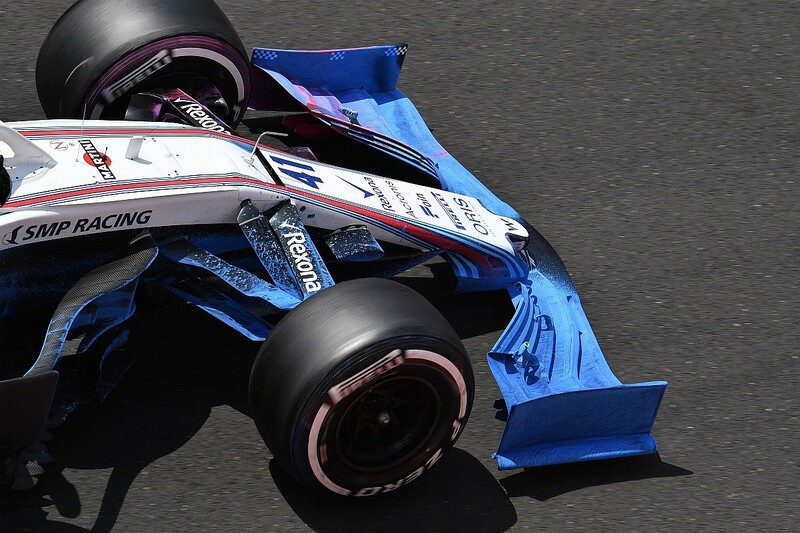 That work had put a spotlight on the role of front wing endplates in creating an 'outwash' effect that had negative consequences for following cars. The theory was that by simplifying endplates and brake ducts, and reducing the outwash effect, it would be easier for cars to follow. The idea was seized upon and, after some last minute extra research was contributed by teams, it was assimilated into the 2019 regulations. "It was done with the absolute best intentions," says Force India technical director Andrew Green. "As part of the study for the 2021 regulations, F1 found that there were details in the front wing that helped the car behind for overtaking. "Outwashing is basically about the front wake - all the turbulence around the front wheels - and taking it away from the rear of the car where all the downforce is created. We do anything we can to move it outboard, which is what all those devices on the current front wings do - they nudge it all outward." Those at F1 who had initiated the 2021 research were wary about one element of it being cherry picked, to use Horner's phrase. Yet the consensus was it was better to try something sooner rather than later, while still working towards the bigger package. Teams continued to learn about the impact of the early changes as they went through their development programmes for the 2019 cars, and some of that knowledge has fed back into a complicated process of loophole closing - one that should finally be fully signed off this week. 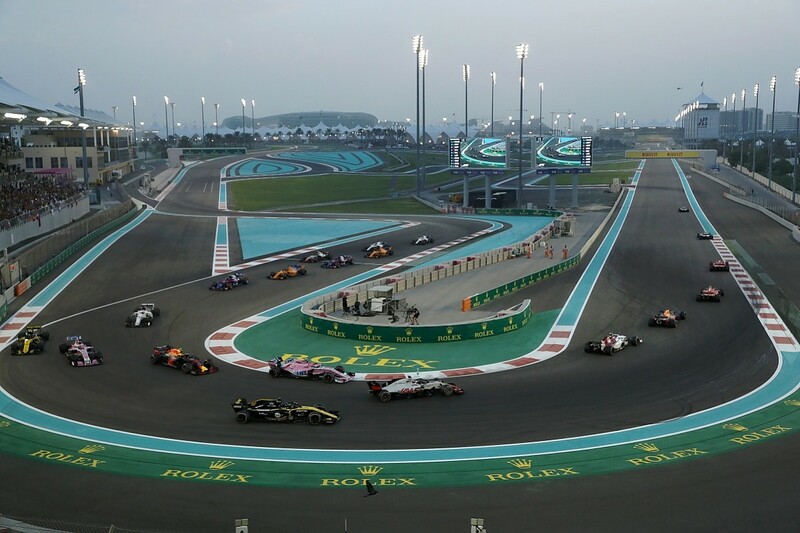 "It's become a little more complex than we expected, simply because it was done in a bit of a hurry," says the FIA's F1 safety director Charlie Whiting. "We're pretty much there now. The latest detail changes are going to the World Motor Sport Council, but they are only details, and I think everyone's happy with them. "We've had quite a few questions about very small details, and they've all been wrapped up into the rules, so that they're not in a TD [technical directive] from the outset." In other words, it's better to wait and hone a definitive set of regulations, even if they are signed off later than is usually desirable, and avoid the need to close loopholes later via extra technical directives. "Hopefully that is a set of regulations that everyone can work with," says Green. "And there's not a huge loophole. There might be little ones in there, hopefully there's not anything massive that people can dive into. "It just goes to show how difficult is to write a set of regulations that are tied to a specific [aerodynamic] geometry. The tighter you make the regulation, the longer the regulation becomes. You just give people a box to work in, it's a very simple regulation, but everybody comes up with incredibly complicated solutions. "One of the reasons why it has changed is to try get rid of those complicated solutions. So, it's an incredibly complicated set of regulations to have an end result of an incredibly simple set of geometry." So, have the teams therefore generally been working for the greater good - or have they been looking after their own interests? "There's been a reasonable degree of co-operation," says Green. "There's still a team centric view from a few. I think overall the majority of teams want to help, moving forward, and co-operate with the FIA and F1 to make a change. In that respect, it's been quite successful." Williams technical chief Paddy Lowe insists that teams have been willing to highlight any grey areas in the rules - and the hope is that no one has found the 2019 equivalent of the double diffuser, which proved to be key to Brawn GP winning both championships back in '09. "The teams have been quite ready and open, at least some of them, to put stuff on the table that's then been heavily constrained," says Lowe. "I think generally the teams are of a mindset that they want clarity, and not to have a lot of arguments when we turn up in Australia over poorly defined aspects of the regs. With that spirit, everybody has been quite enthusiastic to define things in more and more specific details, so everybody knows what they're working with. "You have things like the front wing flap adjuster, which we've all had for many years, and nobody's ever bothered about it. But now, because there are so few levers to try and create outwashing effects, we've had to put limits on the size and location of the flap adjuster. "Previously, because you could do what you wanted with the endplate, why would you make a tricky front wing flap adjuster? But now you'd want to convert a front wing flap adjuster into an outwashing device. "So it's an example of how everything's getting nailed down now to stop any tricks to get outwash again. "As far as I can see there aren't any major opportunities in terms of bodywork to recreate what we have today. But that will be the interesting thing as we get into next year, and see what solutions people come up with. "Everybody is trying of course, you can't uninvent knowledge. But it's not easy. I'll be amazed if people can recover it to where it is today." 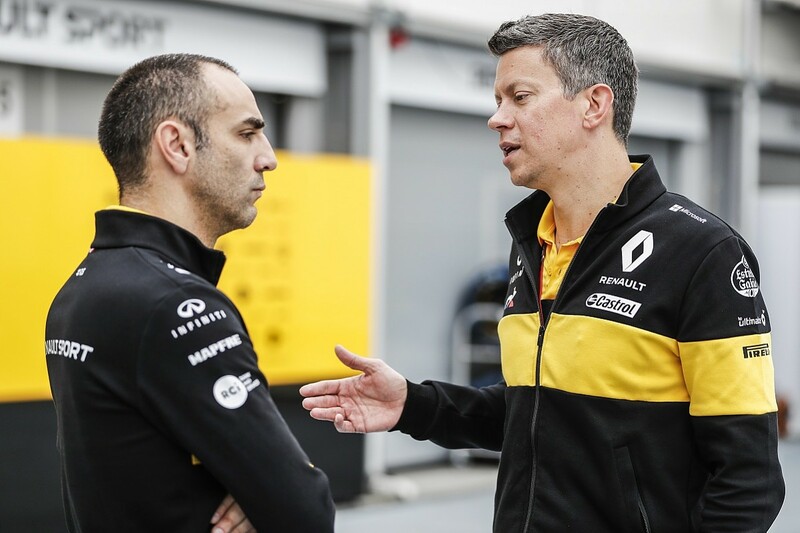 Renault executive director Marcin Budkowski agrees that recovering lost performance is a major challenge for all of teams. "These regulations have been defined very late," he says. "And they've been evolving throughout the year. There are still some detailed changes being made - these details influence the airflow - so they are relevant to the performance of the car. "The regulations are very restrictive. 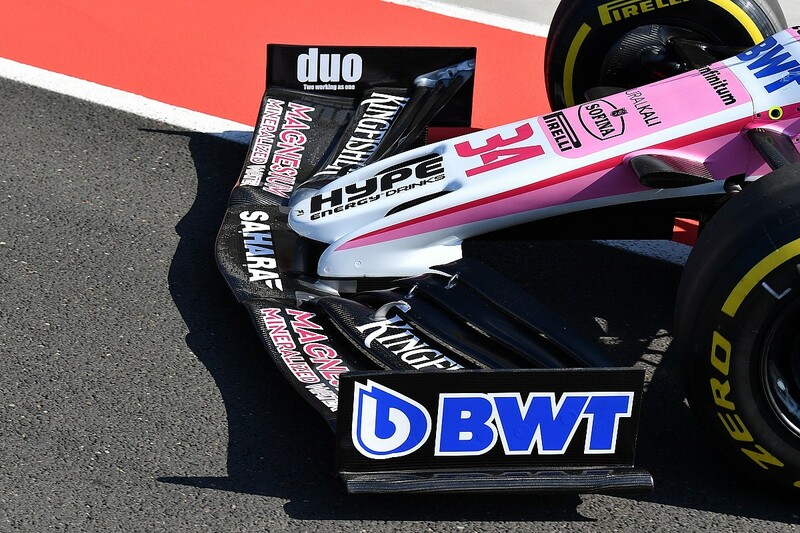 I hope it's the case for everybody else, but we're struggling to find a lot of performance out of these front wings. It's the intention to make it more difficult to control the wheel wake, so if that's the case, it's going in the right direction in terms of following." But will the changes have a positive impact on the racing in 2019? Or will F1 have to wait for what some are already suggesting is a much more promising solution regarding the aerodynamic concept being worked on for 2021? "We don't believe it's going to have such a strong impact - that it's going to suddenly make following an F1 car easy," says Budkowski. "It will have some impact, as to whether that impact is going to be sufficient to change the show, we don't believe it will be." Budkowski says the focus is already very much on 2021, and the wholesale package of change that is being formulated. 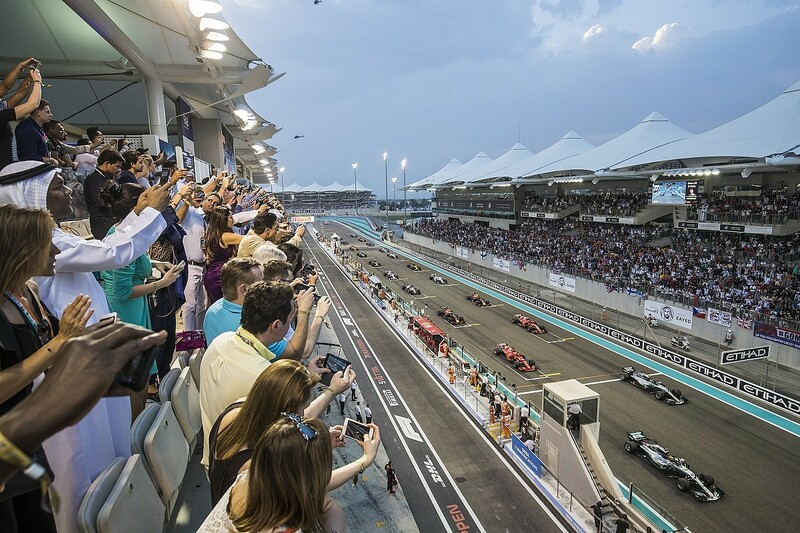 "There is work going on at F1 with the FIA on 2021 regulations, and the teams are being updated on this work and have been invited to contribute. We've contributed a lot of data, and some understanding we had, because we want the sport to grow in the right direction. "Recently F1 has released a geometry - the whole shape of the car, all the aerodynamic surfaces - to the teams, which they've been asked to study and contribute feedback. It's a provisional geometry, by no means will it be the final geometry, but I think F1 has to use the firepower of the teams to accelerate that development and evaluate the solutions. "It's not a given that a solution that works on one car works on all the cars, so they need that extra data to understand it." Green suggests that the 2019 changes could become irrelevant. But he believes that the 2021 rules will address the overtaking problem. "I think we jumped too early," he says of the 2019 aero regs. "We're not going to be able to do the experiment. Nobody's going to be able to do an '18 versus '19 overtaking study, we're just going to look at the data in '19 and see whether it's had an effect. However, my gut feeling is that the change is going to be too small for us to measure. "It was something that everyone jumped onto, thinking this is the big ticket, but actually that's not the big ticket, that's just a small ticket, this is the really big ticket over here, for 2021. "Massive changes are coming for 2021, which is really exciting. Just a completely different concept, it's a case of throw everything that we're doing at the moment out of the window. It looks really positive. "They've discovered there are much bigger tools, or changes that they can make to the car, that have a massive effect on the performance of the trailing car. And then when you look at the front wing compared to that, it's tiny. If they'd had their time again they might not have elected to pluck this out for 2019." Green also reckons the concept is so fresh that there will be no need to recreate outwashing. "Now we're looking at a set of 2021 regs that are completely different to anything we've ever raced before, the car following wake is completely different," he explains. "It's a little bit to do with the front wing, but it's a lot to do with something else - just the overall geometry of the car, the way it develops downforce. "It makes the car so that outwashing is not the big thing that we strive for. Currently that's a big performance driver for these cars - we get outwash, we get performance. In the '21 regs, we don't need outwashing to get performance." All of that sounds promising, but it's still a couple of seasons away. For the moment, the focus is on 2019. As with any major rule change, all the teams are making a fresh start. But that won't necessarily improve the show and have an impact on overtaking. "In terms of performance differentiation, obviously it's a bit of a reset of the whole aerodynamics," says Budkowski. "It could be an opportunity because the people who have the fastest cars today, chances are they do it better than other people. Now we're all starting from a step back. "On the other hand, their understanding is probably better, so they probably will be able to recover more quickly than everybody else." "It's a significant change," says Horner. "One thing affects another, and it's been a very costly change. Will it affect the ability of the cars to follow closely? Maybe a little, but not tangibly so. And inevitably somebody will get it right and some teams will get it wrong. "If anything, it will put more gap between the teams. The best way to achieve a close grid is stability, and then the teams will concertina and converge."